We will be open Father’s Day, Sunday, June 17 from 11 AM – 5 PM. Stop in for meats to barbeque with Dad, wine, or other essentials! 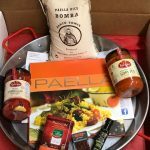 SPANISH WINE – Rioja Gran Reservas are incredible gifts, perfect for those who enjoy earthy and spicy food-friendly wines. 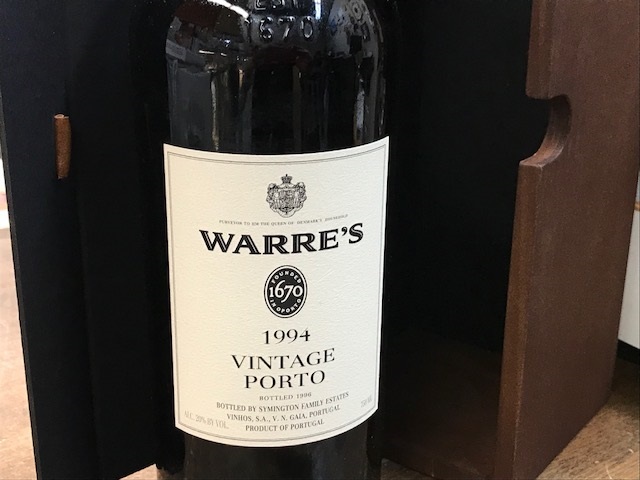 We don’t have the 1904 Gran Reserva pictured, (the photo was taken at the winery), but we’ve got some stellar vintages available (see below). 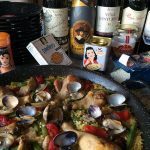 Rioja wines are exceptional with lamb, pork or paella. Rioja was the first wine region in Spain to receive a Denominacion de Origen Calificada (D.O.Ca), recognizing the region’s outstanding quality. The D.O.C allows only certain grape varietals to be used in the wines and specifies rules for aging. 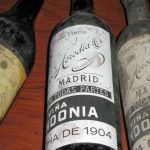 For example, a Gran Reserva is required to age a minimum of 5 years (at least two years in barrel and three years in bottle) and is ready to drink upon release. 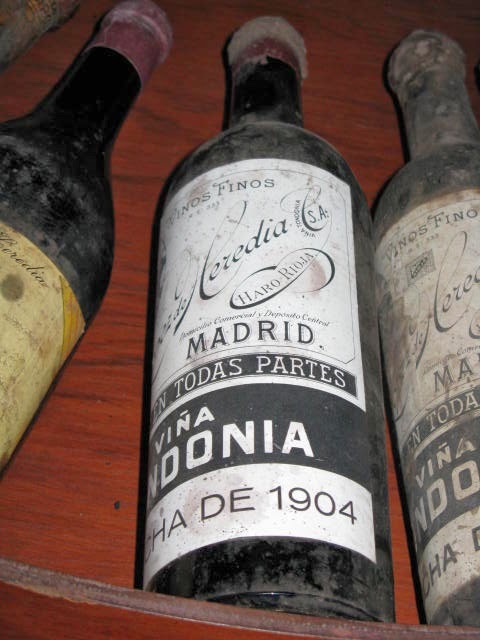 Some producers, such as Bodegas Lopez Heredia and Muga age their wines longer before release to achieve their own style. 2004 and 2005 were outstanding Rioja vintages, and we have R. Lopez Heredia Viña Tondonia from both vintages. 2004 Tondonia Gran Reserva Rioja ($159.00) and 2005 Tondonia Gran Reserva ($105.00) both offer up elegance, spice, and nuanced length. 2005 has a touch more intensity of fruit, and both were aged 20 years (10 years in oak) before release. 2009 was another excellent vintage in Rioja and we have both Contino Gran Reserva Rioja 2009 ($62.00) and Muga Prado Enea Gran Reserva Rioja 2009 ($70.00) from this harvest. A side-by-side tasting of these two 2009 wines would be a phenomenal treat for Dad, or anyone else. 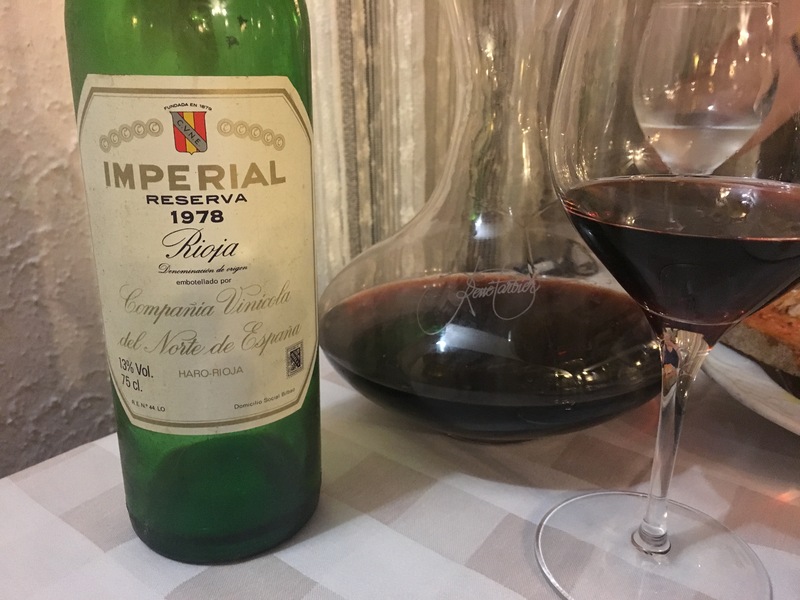 CVNE Imperial is an outstanding Rioja producer whose wines deliver grace, intensity, balance, and complexity. 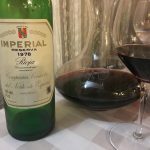 We savored every drop of the fantastic CVNE Imperial Reserva Rioja 1975 at La Masia Restaurant in Sitges, near Barcelona. What a beautiful wine! We recommend dining there if you’re in the area and drinking an old vintage of Rioja from their cellar. They have an extraordinary selection of fine wines at really affordable prices. The Wine Spectator recognized the brilliance of CVNE Imperial Riojas by naming Imperial Gran Reserva 2004 the Top wine of 2013. We have this vintage available ($150.00), as well as Imperial Rioja Gran Reserva 2005 ($68.00) and Imperial Rioja Gran Reserva 2010 ($56.00). We have plenty of other Riojas to choose from as well. Clos Manou Médoc 2010 ($72.00) The Clos Manou ‘Cuvée 1850’ is a garage wine of extraordinary quality. Produced in the northern Médoc, it is representative of the fruit-forward, concentrated style of wines coming from the Left Bank of Bordeaux, and are competing with the more famous classified growths. The grapes come from vines planted in 1850, which escaped the ravages of the phylloxera disease. 100% Merlot, hand harvested, whole berry fermentation for 30 days in small oak vats, and aged for 17 months in new French oak. No fining or filtration. Offers aromas of berry on the nose with a hint of toast. Layered and generous on the palate, it has tension and some grip. Ripe fruit has a spicy edge; tannins are silky and the finish has extraordinary length. Only 600 bottles produced, from this stellar Bordeaux vintage. 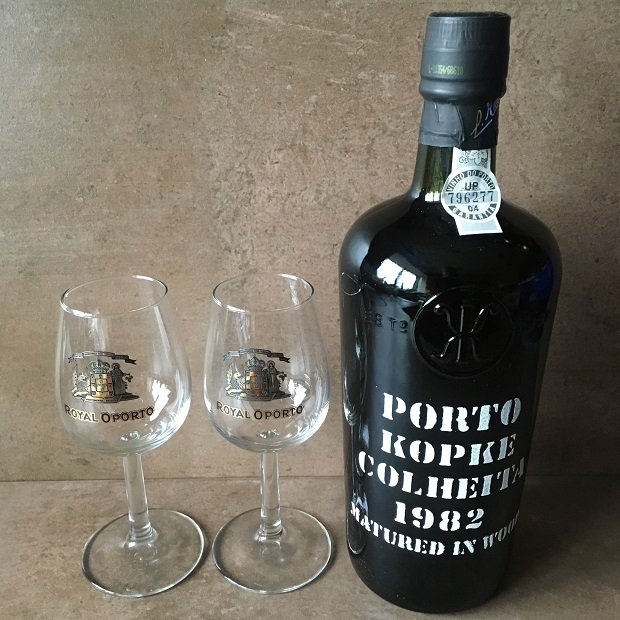 A bottle of tawny colheita port (tawny port from a single harvest) makes a great gift, especially since many are available in 375 ml bottles and we stock many vintages going back to 1950. 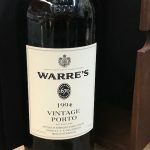 Some vintages are spicy, some are more elegant, but all have a caramel, butterscotch, nougat flavor profile. The older the vintage, the longer the finish. Excellent with fruit or nut pie, or cigars. 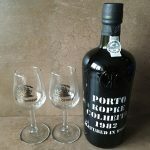 For Dads who prefer ruby style vintage ports, we’ve got two from the renown 1994 vintage, which are now ready to drink. 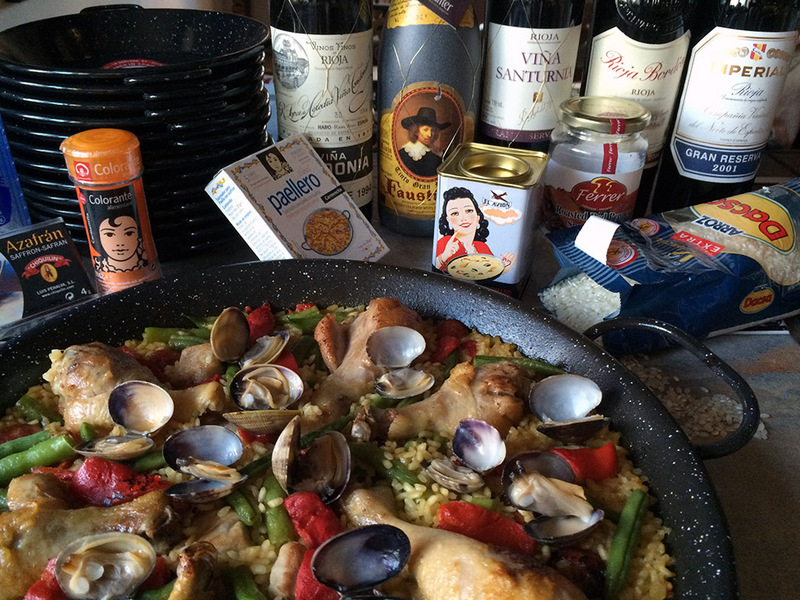 Paella kit: Inspire Dad to start making this fantastic rice dish by gifting him a Paella kit. 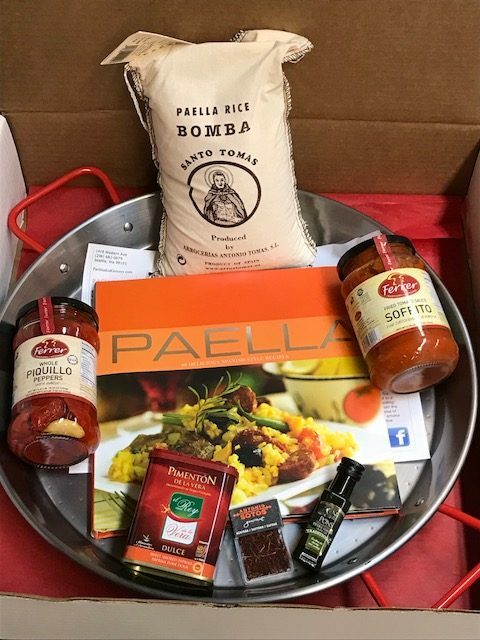 It includes a Paella cookbook, 8 serving enamel paella pan, 1 kilo bag of authentic Spanish Bomba rice, 10 oz jar Piquillo Peppers, 12 oz jar of Ferrer Sofrito, a 2.6 oz can of smoked paprika and 1 gram saffron, all for $75.50. Just add a combination of chicken, vegetables or seafood and start cooking. 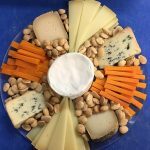 Cheese assortment: Is Dad a cheese lover? 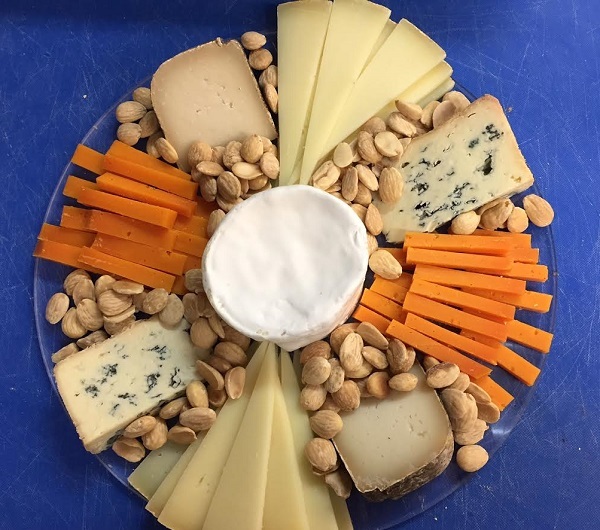 A selection of fromage from France (try a creamy Brie or rich double cream) with a flavorful Spanish queso such as Leonara goat cheese and one of our newly arrived Portuguese cheeses will make a tasty gift. Tinned and preserved seafood: A healthy gift for Dad and he’ll think of you every time he pops open a can of tuna. 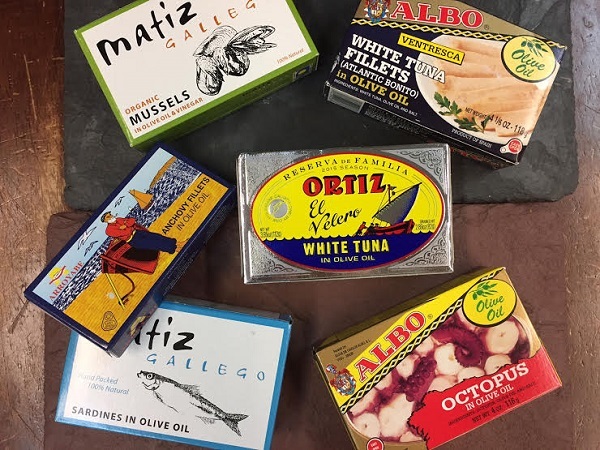 We’ve got seafood from Spain, Portugal and France on the shelf. Our selection includes Octopus, Clams, Mussels, Sardines, Tuna, Mackerel, Anchovies and fishes in sauce. I like to toss fresh greens together and top with a small tin of seafood and a dollop of vinegar. It’s an easy meal and so delicious! 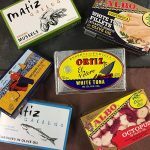 In our refrigerator case, we carry Mojama (Spanish cured Yellowfish Tuna loin), Bacalao (salt cod) and Ortiz salted and barrel aged Anchovies. Fermin uncured Iberico de Bellota meats – Unlike the cured Iberico de Bellota pork meats that are sliced for serving, such as Cinco Jotas brand Iberico de Bellota that we have in stock, we also carry the raw, uncured pork made from the Pata Negra (Spanish free range black-footed pigs) which have been fed a diet of acorns. These uncured meats are portioned, packaged, and frozen in Spain. To serve, simply thaw and lightly grill to medium rare, just like cooking a high-quality steak. The Iberico de Bellota meat looks similar to a tenderloin steak, but the flavor will send Dad over the moon. Melt-in-the-mouth tender and juicy, it tastes like a cross between beef and the most flavorful pork you’ve ever eaten. We have four cuts in stock: Solomillo (tenderloin), Carrillera (cheeks), Secreto and Presa.